With the new Speed Twin, Triumph claims to have mastered the dynamic combination of a modern classic and a performance roadster. Triumph's 'Modern Classics' line-up consists of eleven models at the moment, in the international markets at least. 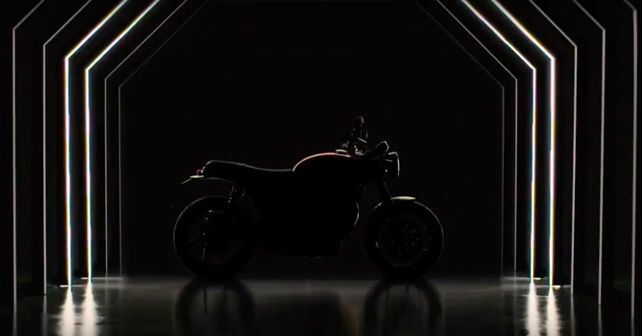 However, it is about to add a twelfth model to this line-up with the upcoming 2019 Speed Twin. Based on the information revealed by the teaser video, the new Modern Classic is all set to make its global debut on 4th December 2018. While the new model finds no mention of Triumph's India website, it's on the international UK site where the model has been teased with a few bits of information about the bike's dynamics and what can we expect from the styling. What is clear from the teaser images is the distinct-looking LED DRL incorporated into the headlight. While the silhouette of the Speed Twin is somewhat similar to that of the entry-level Street Twin, it is likely to borrow sporty bits from the Thruxton. Expect the new Speed Twin to be powered by the same, liquid-cooled, 1,200cc parallel-twin engine which also powers the Scrambler 1200, Bonneville Bobber, Bonneville Speedmaster, Bonneville T120 and the Thruxton R. However, the power and torque figures are likely to be altered in comparison to those of the Thruxton, keeping in mind the Speed Twin's softer stance and overall practicality. Keeping in line with its newly-launched models, the Speed Twin is also likely to feature the new, digital instrument cluster as seen on the Scrambler 1200. While the exact specifications will be revealed only after the official debut, the international prices will be announced a little later, on 18th January 2019.